One of the colors that I gravitate to the most besides black is army green. It wasn't enough to have several pieces in my wardrobe with this color (and my couch), I also convinced my husband to agree on buying our Jeep Wrangler in army green. For the longest time, I avoided any shade of green near to my face due to my olive complexion. A few years ago, the love for this color made me brave enough to decide to wear it on my upper body. First, I started with camouflage prints, then when I realized that it didn't look that bad near to my face, I introduced solid army green. 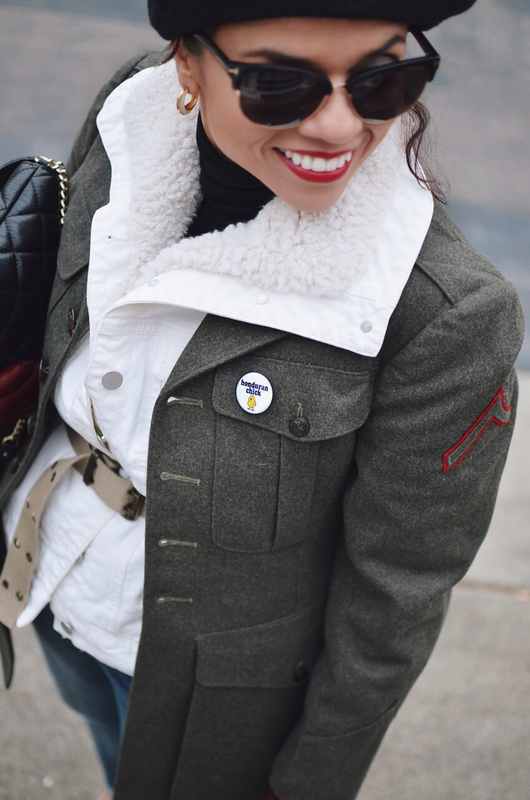 Today's look is focused on my 1940's (WWII) jacket. This is an amazing piece that I found at a vintage store in Hendersonville, NC. As soon I saw it, I knew the possibilities with it were too many to not buy. In this opportunity, I decided to use it as part of a layered look. 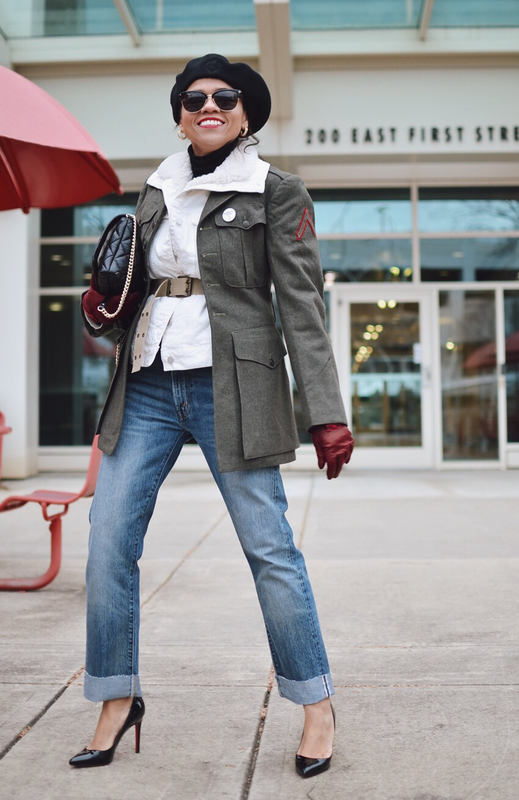 The weather was really cold, so I decided to ramp up its warming abilities by wearing it over a shearling denim jacket. 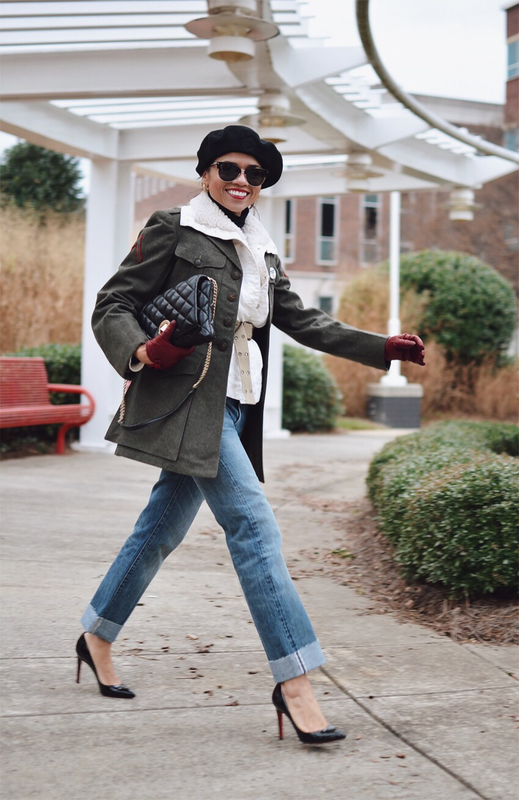 Military Jacket: Vintage. 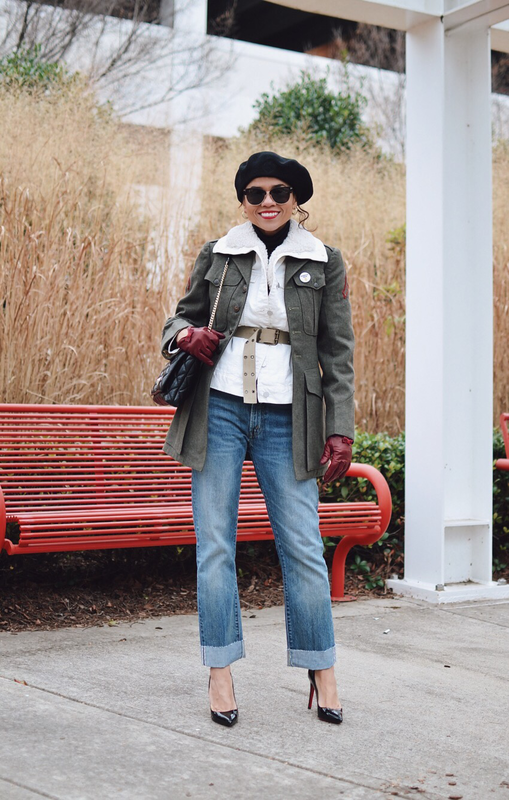 Similar/Shearling Denim Jacket: Lou & Grey. 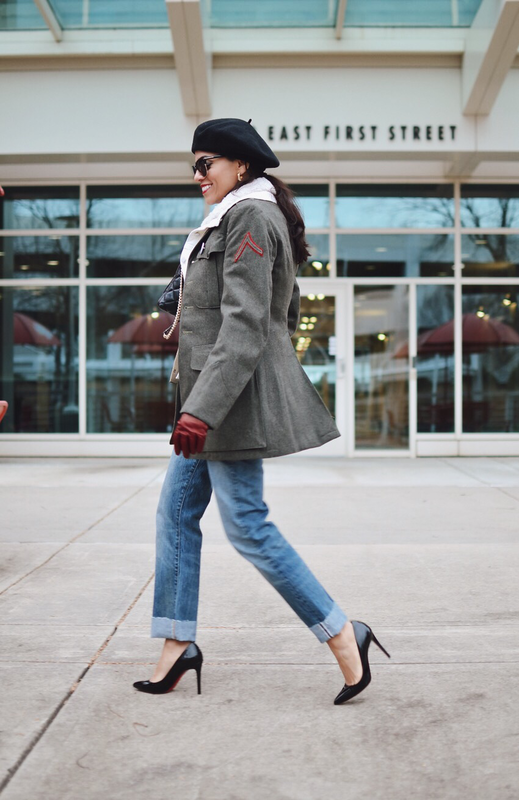 Similar/Turtleneck tee: Talbots/Beret: Vintage. Similar/Jeans: Levi's 505 Vintage. New style/Sunglasses: Tom Ford/Bag: Kate Spade. 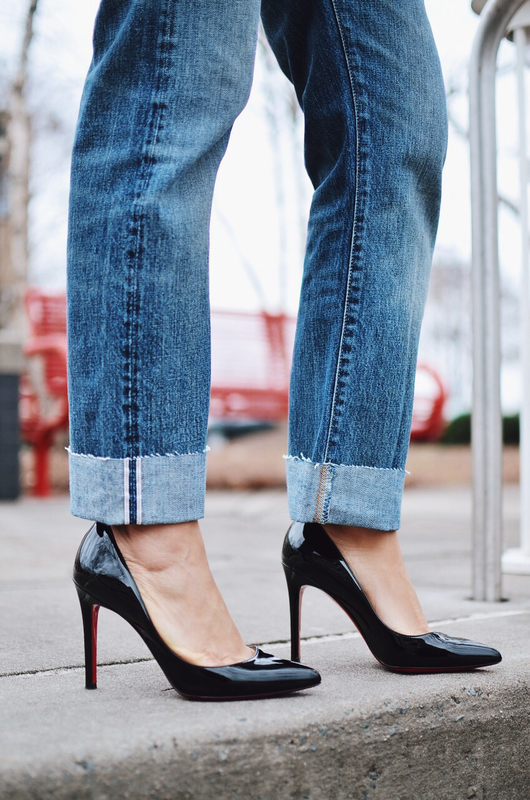 Similar/Pumps: Christian Louboutin/Gloves: Beau Gant (Perfect gloves). Thanks, Nieco! I'm glad you found us. 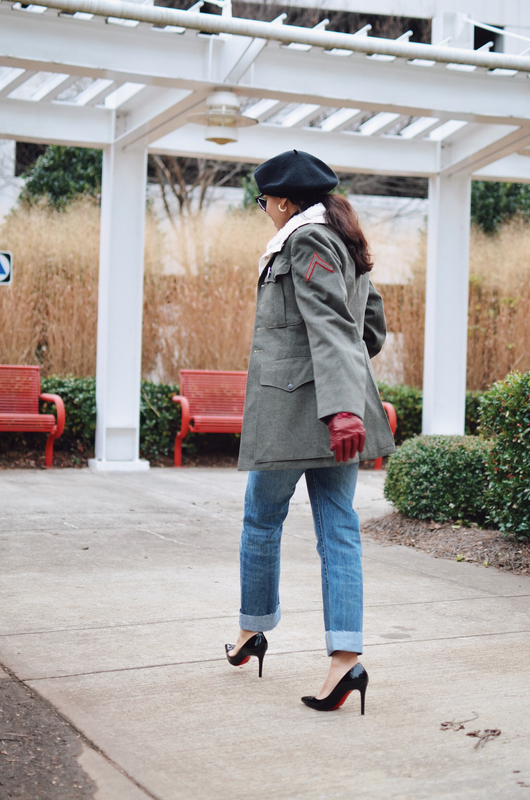 How gorgeous I adore the military jacket paired with Loboutins and Beau Gant leather gloves. This is so chic! Thanks, Katie! 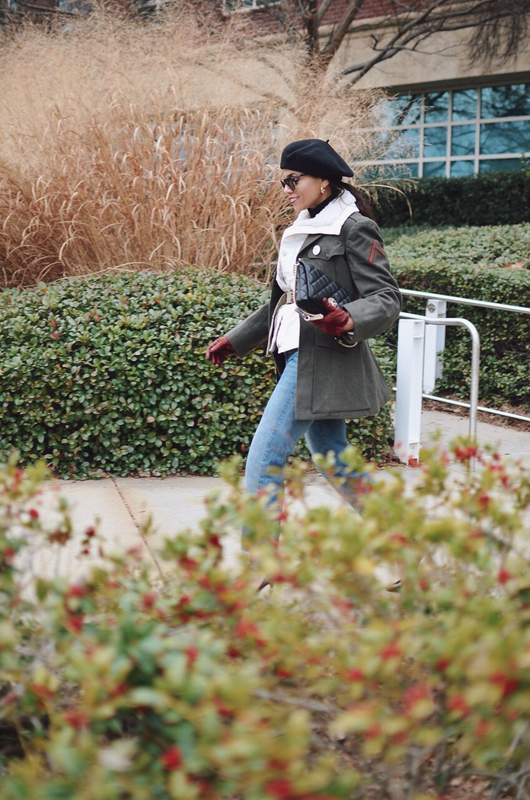 But those gloves are everything. I'm so glad to finally find great quality gloves.